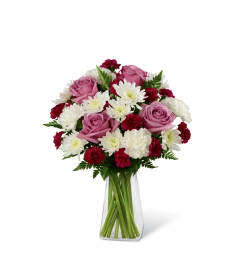 The FTD® Pure Passion™ Bouquet is rich in romance and sweet sophistication. 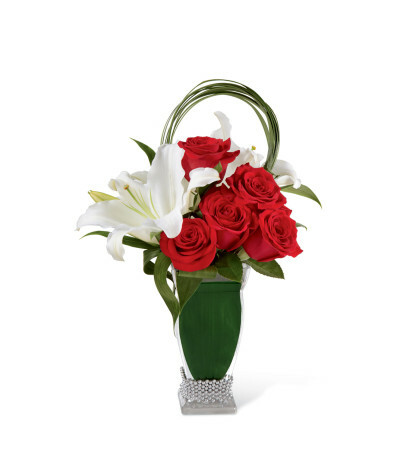 Red roses combine with white Oriental lilies artistically accented with lily grass blades for an incredible look. 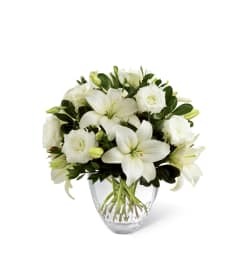 Wrapped in aspidistra leaves around the stems, this bouquet arrives seated in a clear glass vase presented with a sterling classic beaded flower bracelet at the base to create the perfect atmosphere for love to bloom.